The scones came about because my sister JoAnn wanted to try out a recipe from The Pioneer Woman. 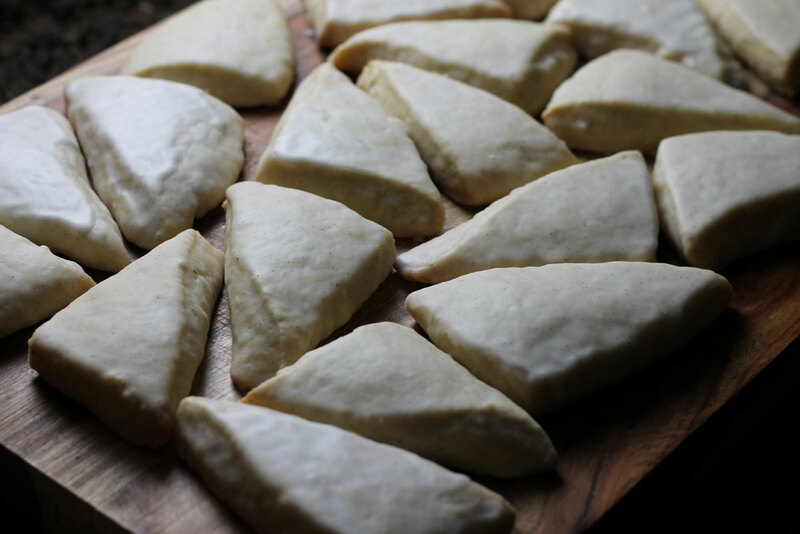 Since JoAnn would be busy cooking up a fantastic meal for us deadbeats, I volunteered to make the petite vanilla scones she wanted. 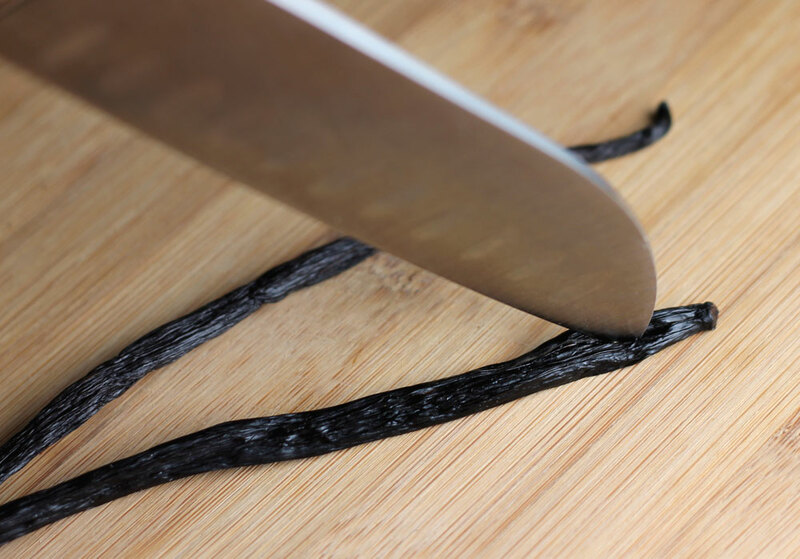 Have you used whole vanilla beans in recipes before? To be honest, I hadn’t before making these scones. Crazy, right? 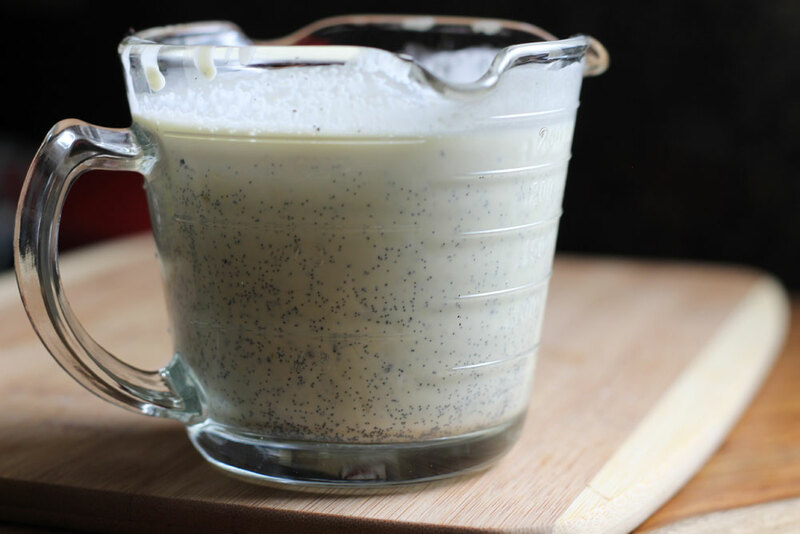 To get to the good stuff in the vanilla bean, you have to split it in half and scrape out the “caviar.” This recipe uses three whole vanilla beans. 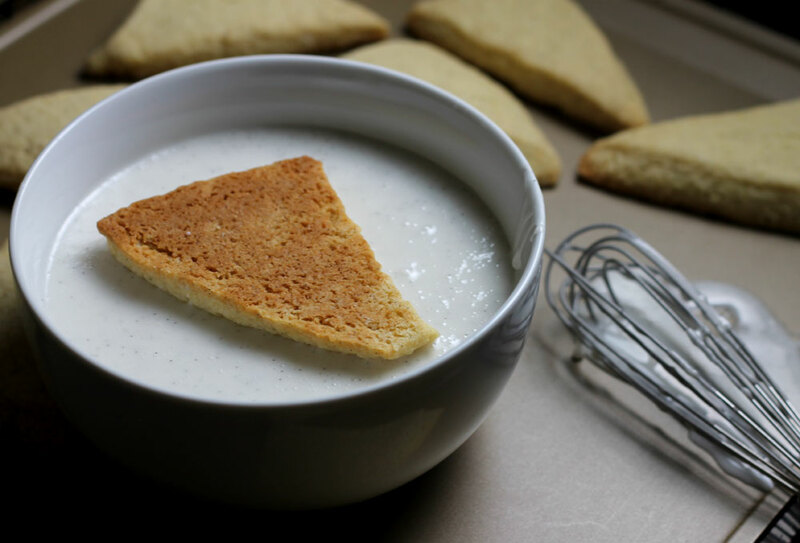 The first two are added to whipping cream that will later be added to the dough. 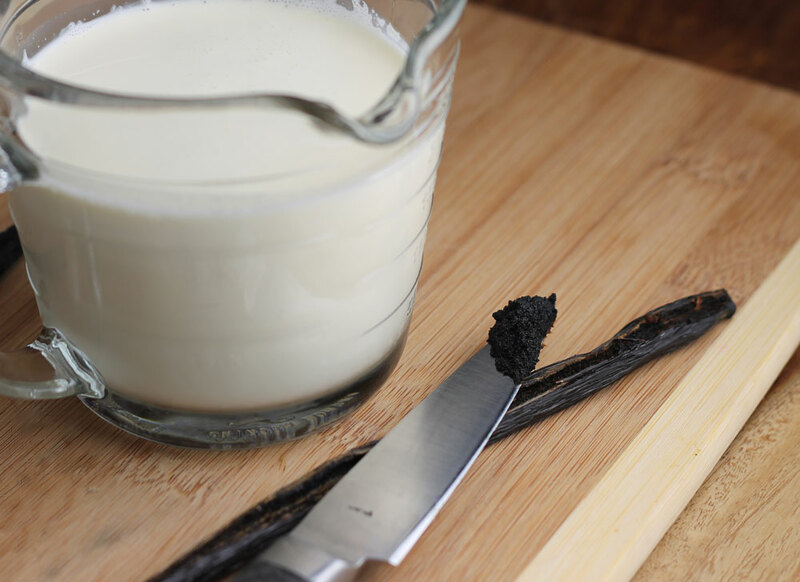 Look at all that yummy vanilla! You know you want some. The dough is pretty easy to make. 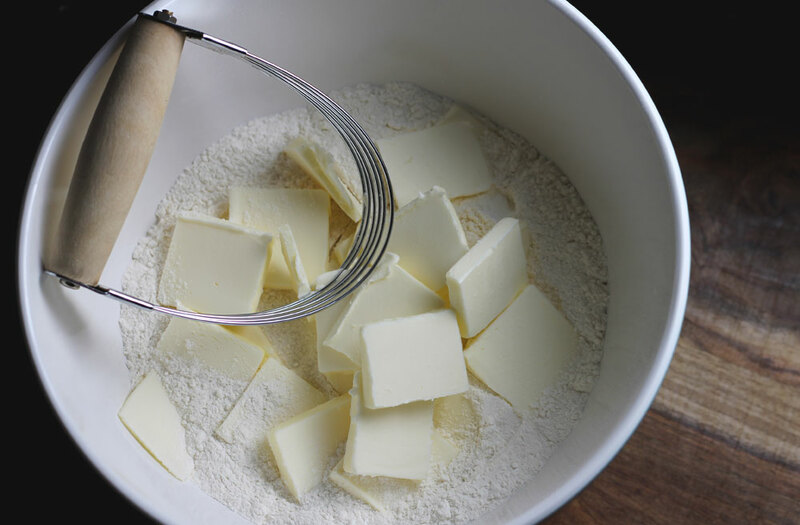 You need to mix it with a pastry cutter/blender at this point, but just think about all the extra scones you can eat from the extra calories burned. Right? Right. 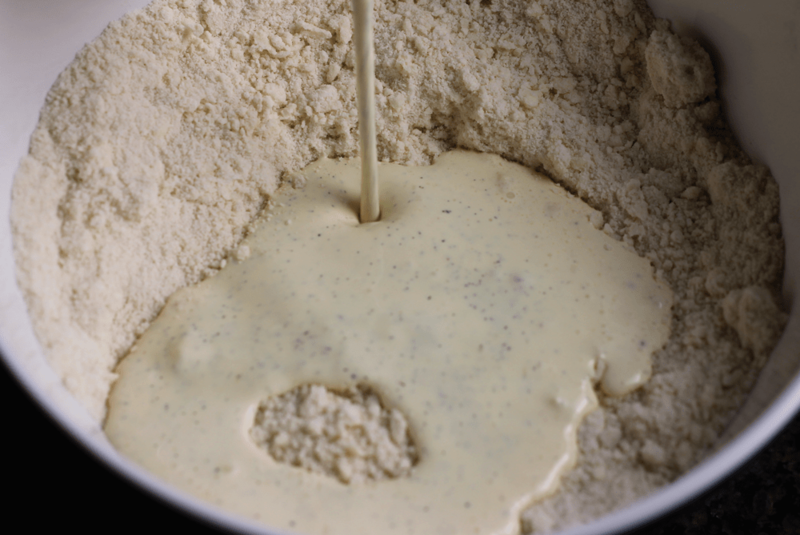 Once the vanilla milk is blended into the dry ingredients, you get this here lovely dough. 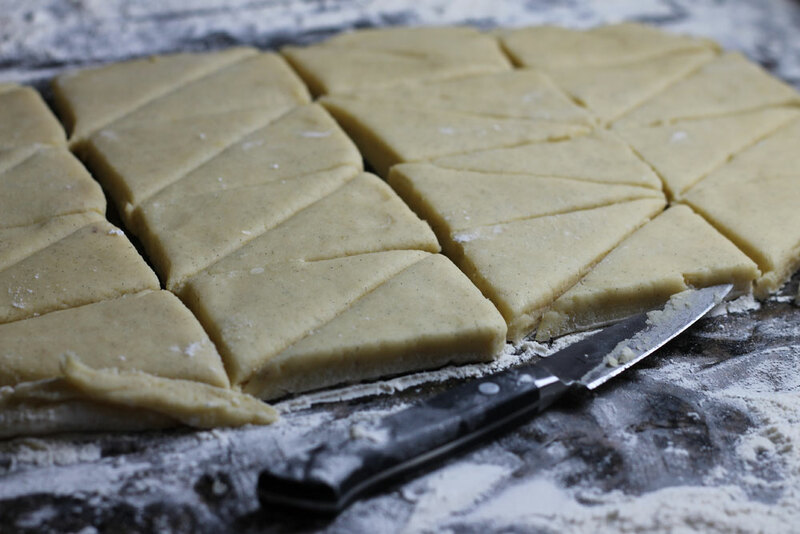 I suppose you could get crazy here and cut the dough into circles, trapezoids, hexagons, or rhombuses (rhombi? 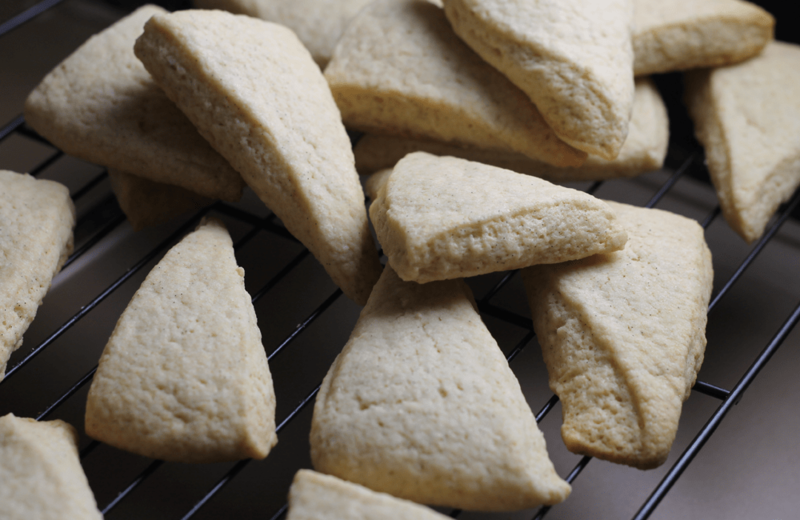 ), but triangles taste just as good. Look, you can still see all the flecks of vanilla in the dough. When the scones are baked and cooled, it’s time to dip them into the sugary vanilla glaze. 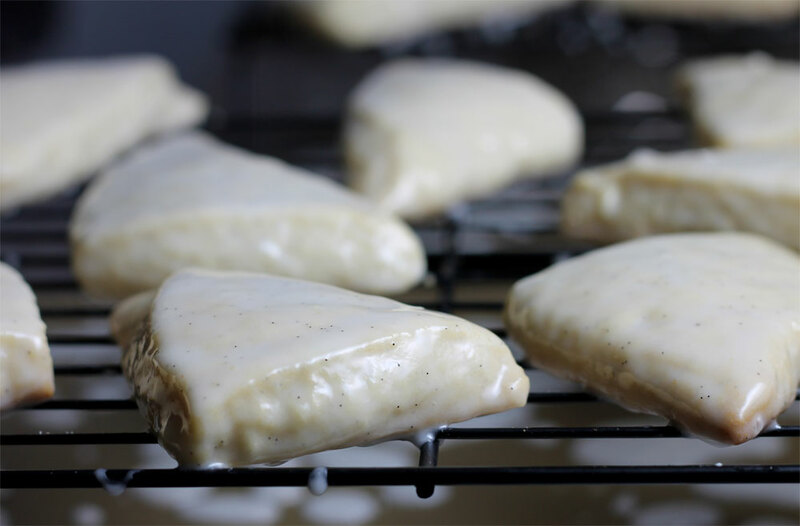 The glaze is made with powdered sugar, another vanilla bean, and milk for thinning. Doesn’t this look tasty? You’ll be more than temped to dig right in at this step (I did). Or, you can be civilized (unlike me) and wait a few minutes for the glaze sets. These scones were awesome. Nothing beats homemade! 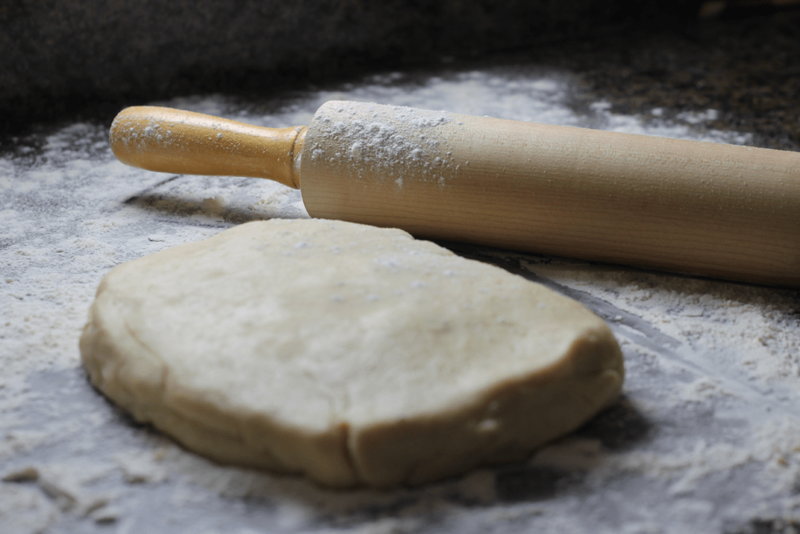 Are you familiar with The Pioneer Woman? If you’re not, do yourself a favor and check out her site. She posts lots of yummy-looking recipes along with totally gorgeous photographs. Her photos make me want to live out in the country and bake from sunrise to sunset every day. Well, more-so than I already do. 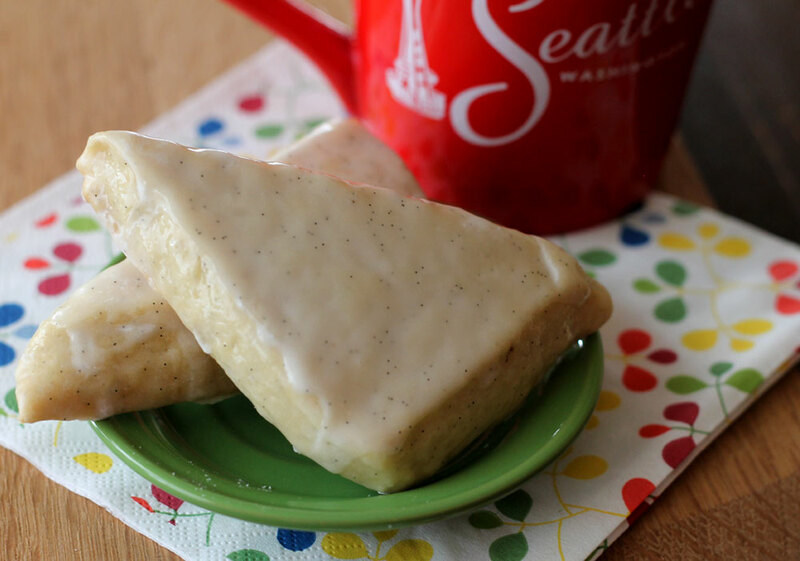 Get The Pioneer Woman’s Petite Vanilla Bean Scone recipe. These look really good. I’ve found the key to really good scones is using baking powder that is aluminum free. Otherwise, you get a metallic taste. Looking forward to trying these soon! These were so yummy – thank you Angelica for making these! I’ll have to make these soon they were that good. I made these yesterday and they were delicious! I think I could have stood to bake mine a little longer. The whole “take out just before golden” throws me off. How do I know when they are going to be golden?! 🙂 Excellent recommendation, can’t wait for the next! WOOHOO!! 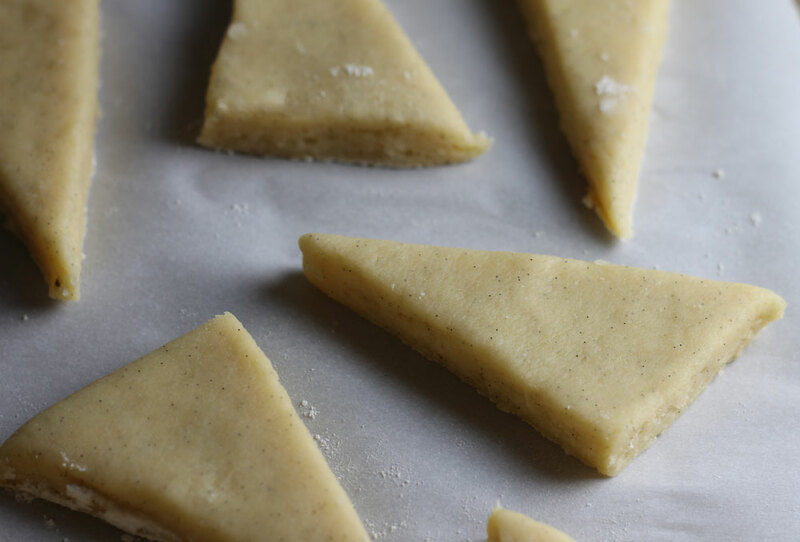 You have no idea how awesome it is that you like to bake things from this blog. I totally know what you mean about the golden brown. I probably tend to overbake because I’m never sure. Where did you order the vanilla beans from? I bought them locally. Some more “natural” food stores, like Whole Foods, sell them, but you can also pick them up for much less money at a place like World Market (oddly enough).